What happened to the Dutch sense of adventure? Where is the bold confidence that we used to have? And why are people so gloomy when really there is every reason to feel hopeful? GroenLinks’ council candidate Arjen Kapteijns makes a plea for openness and optimism. It won’t come as a surprise to you that GroenLinks – the left-wing greens – has great ambitions regarding the environment and fighting climate change. And as you might expect, as a left-wing party we strive for more equality in our society. But there’s a third pillar supporting our ideology that you might be less familiar with and that is our progressive side. Now that the Netherlands is shifting towards the conservative right, our views on an open and forward thinking society might be of interest to you. For many, many decades our tiny country boasted a worldwide reputation for its tolerance and open-mindedness. Yet, while we are still known as one of the most gay-friendly countries in the world and are still in the higher leagues when it comes to equal rights, we are losing ground. As a society, we are far more divided then we used to be and less trusting of one another. We have generally become less welcoming to newcomers, with reports of incidents involving discrimination increasing and progress on gender equality seemingly grinding to a halt. It’s essential to realise how privileged we are. We rank among the happiest, healthiest and safest nations in the world. Of course there will always be threats and challenges. But in the larger scheme of things, we have good reason to face the future with confidence. Thankfully, more and more people share this view. More and more people believe that positive change is possible and take action. Our optimistic and active attitude might well be why GroenLinks is doing so well. We have an unprecedented number of seats in parliament and the polls for the upcoming local elections are spectacularly promising. In The Hague, as elsewhere, GroenLinks will continue its efforts for an open and forward-thinking society. We want everyone here to be able to fully be themselves. Everyone deserves equal opportunities to make the most of their lives, regardless of gender, sexual orientation or cultural background. More than 140 nationalities are represented in our city and a harsh division between ‘us’ and ‘them’ will bring us nowhere fast. GroenLinks sees diversity as a great strength and we are proud to be home to so many world citizens. We will always open our arms to those who have had to flee from war, famine or oppression. And we will continue to fight every form of discrimination in our city. We are proud to have signed a ‘pink electoral pact’ with a number of other parties in The Hague to strengthen the position of the LGBT+ community. And we will continue our efforts to ensure that every single one of us feels at home in our beautiful city by the sea. GroenLinks is determined to turn The Hague into a more sustainable, more caring and more open-minded city and we are convinced that our positive attitude will help us to succeed. Openness and optimism may be hard to measure in terms of economic worth but they are assets of priceless value to achieve the change that we envisage. It’s in your hands now. Make use of your right to vote on 21 March. 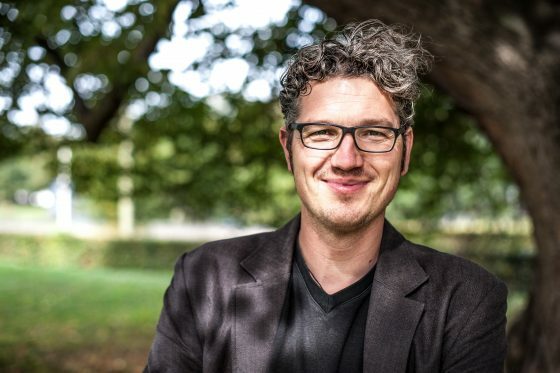 Arjen Kapteijns is the leader of GroenLinks in The Hague. DutchNews.nl invited all the main parties taking part in the local elections to contribute columns as part of our coverage.